Once you’ve collected your leads, the next step is to start a conversation with them. 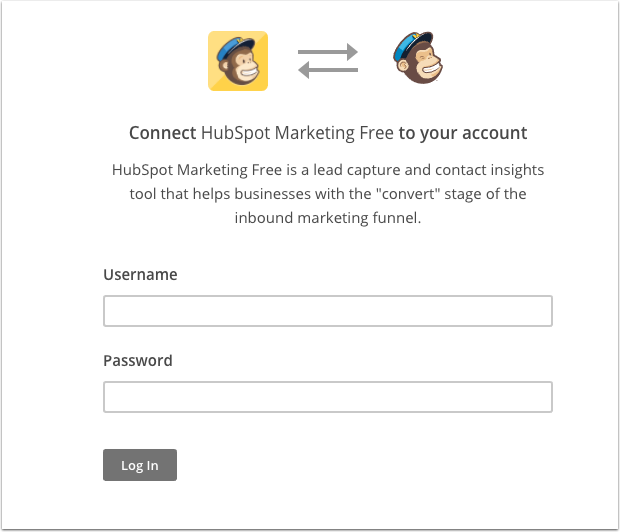 By connecting HubSpot to MailChimp, you can easily add your HubSpot contacts to MailChimp lists. This integration requires both MailChimp and HubSpot. Learn more. HubSpot lets you fill your CRM with website visitors through lead flows and collected forms tools. With this integration, you can quickly create lists from these conversion points and start building out email campaigns. The only thing worse than a sync error is not being able to resolve one. While our integration with MailChimp is airtight, if a sync error should ever occur we’ll provide you with all the details you need to resolve the problem and continue engaging your contacts.